A great gift for Little House fans and anyone who wants to learn what life on the prairie was really like. 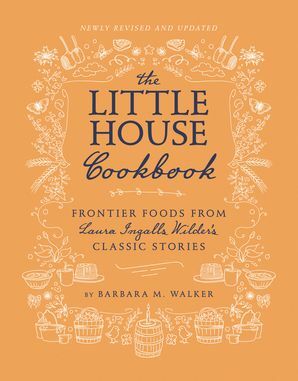 The book also includes excerpts from the beloved Little House series, fascinating and thoroughly researched historical context, and details about the cooking methods that pioneers like Ma Ingalls used, as well as illustrations by beloved artist Garth Williams and full-color photographs by Kathryn Elsesser. Food and prop styling by Ellen Jackson. This is a chance to dive into the world of Laura Ingalls Wilder, American pioneer, women's club member, and farm homesteader. This book has been widely praised and is the winner of the Western Heritage Award from the National Cowboy & Western Heritage Museum in Oklahoma City. The Horn Book praised it as "a culinary and literary feast."